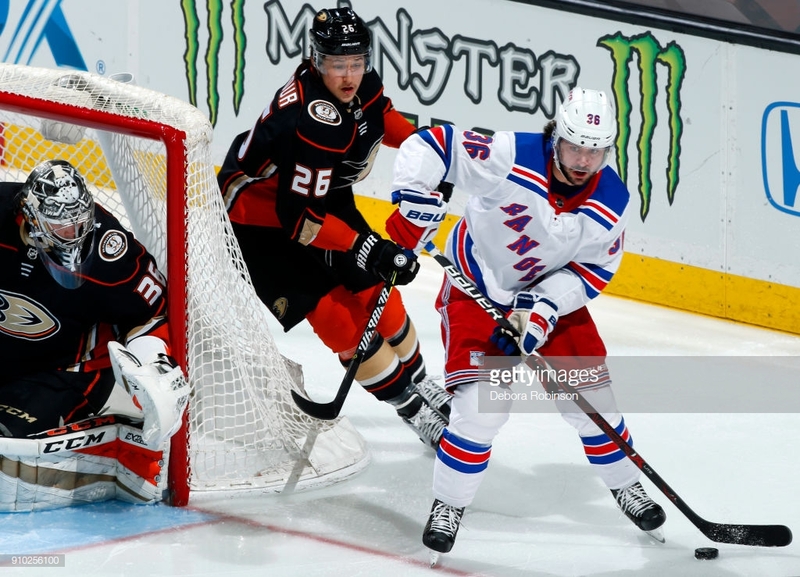 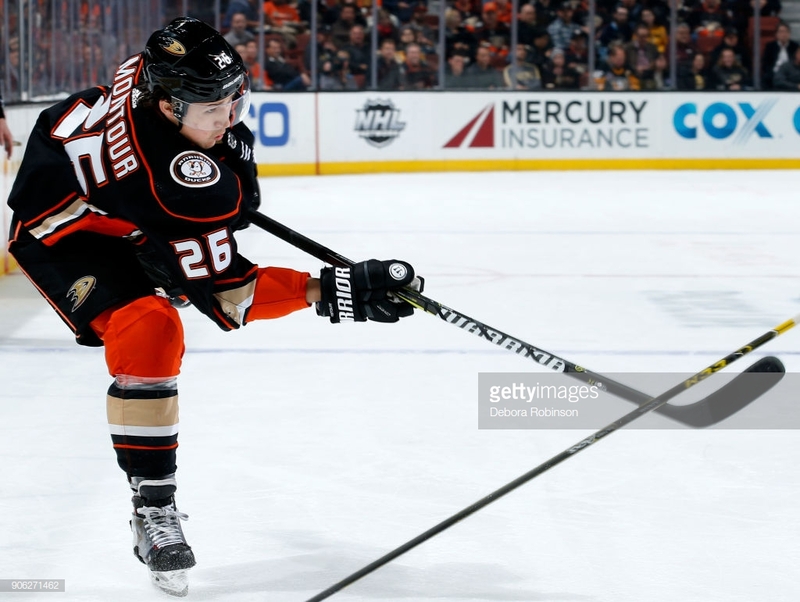 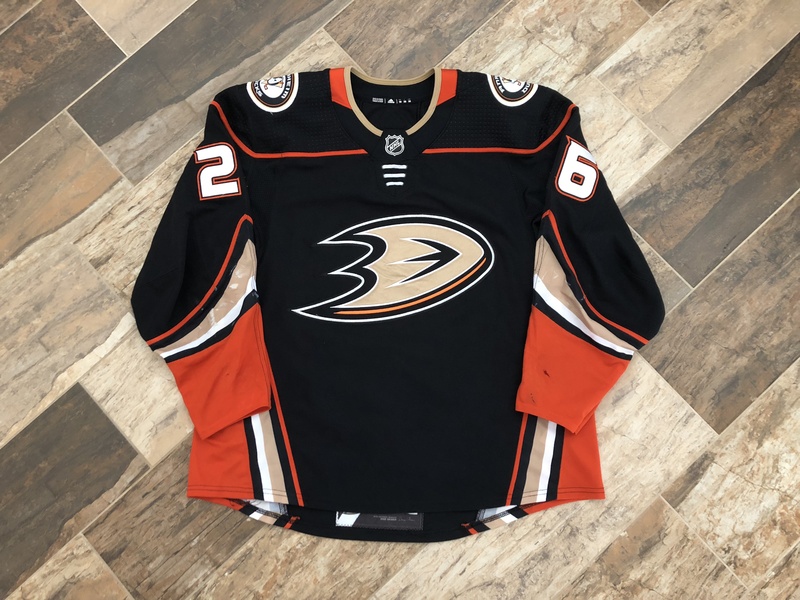 This jersey is easily photomatched to multiple games between January 17th and February 25th 2018. 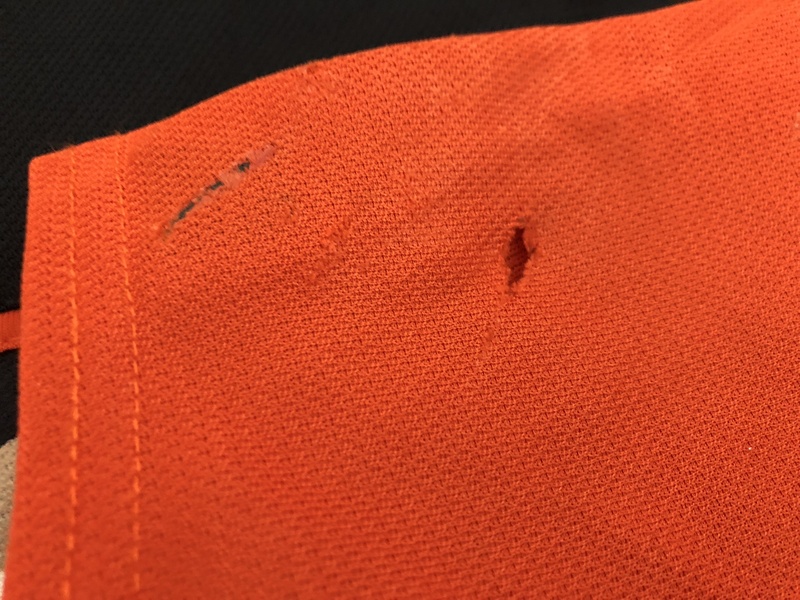 The wear is incredible with repaired holes and unrepaired holes on both arms. 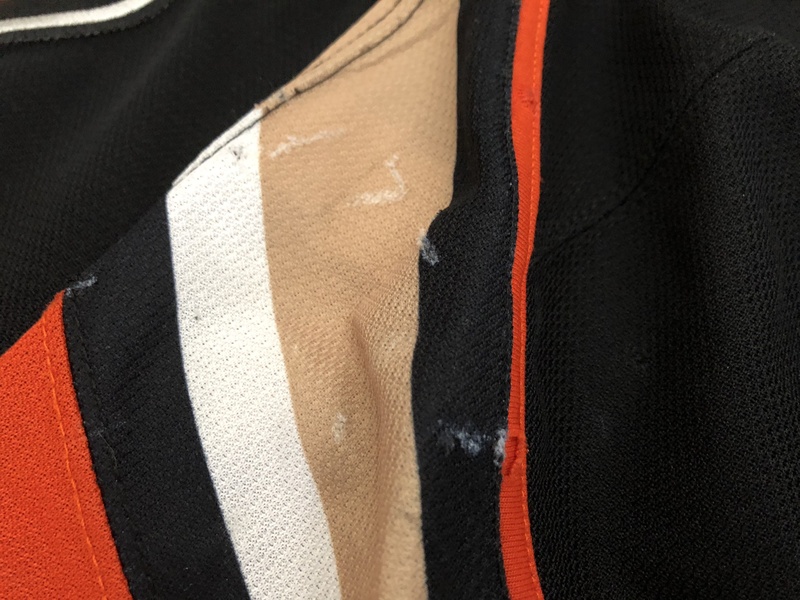 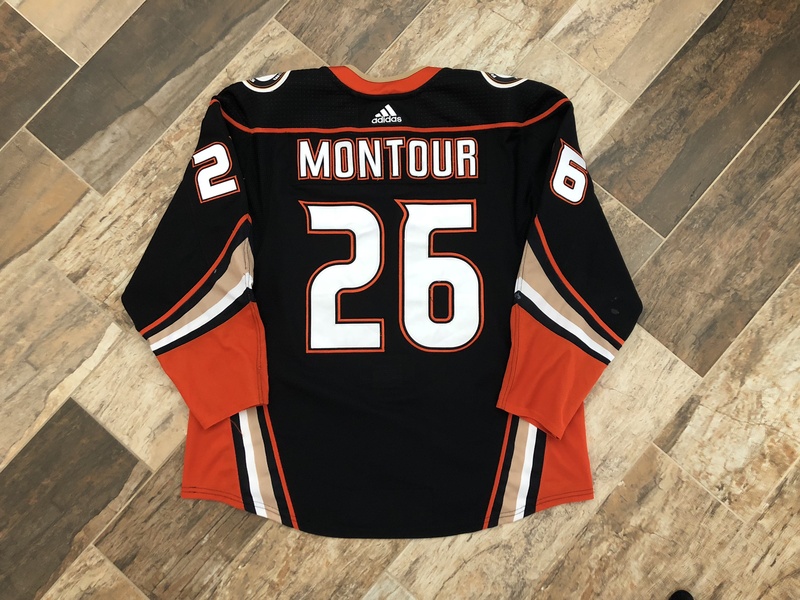 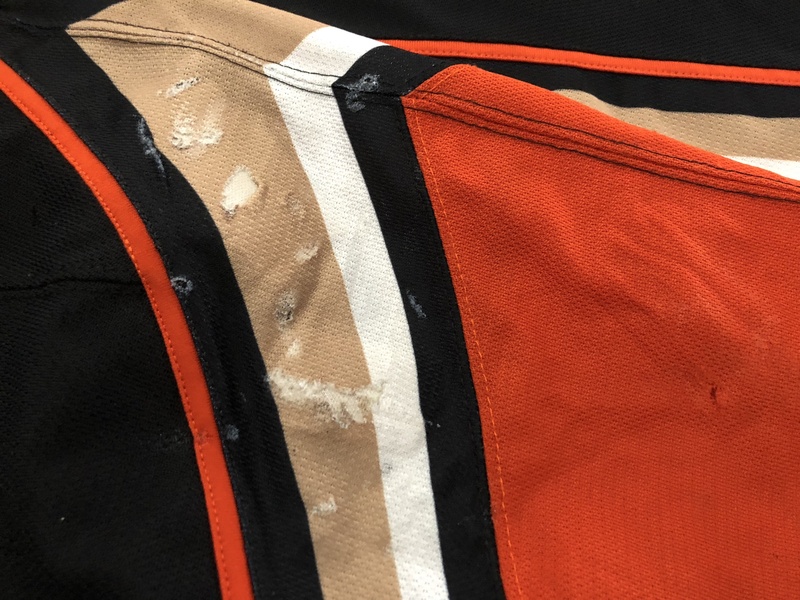 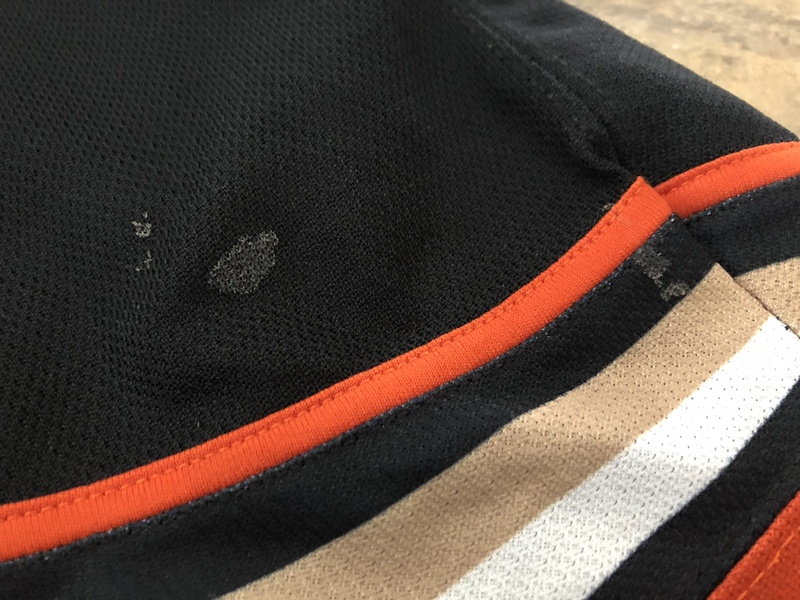 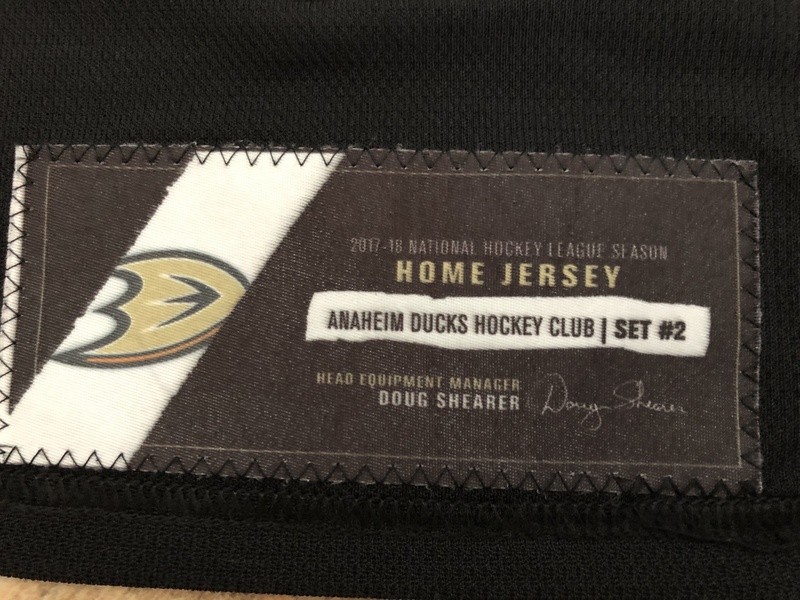 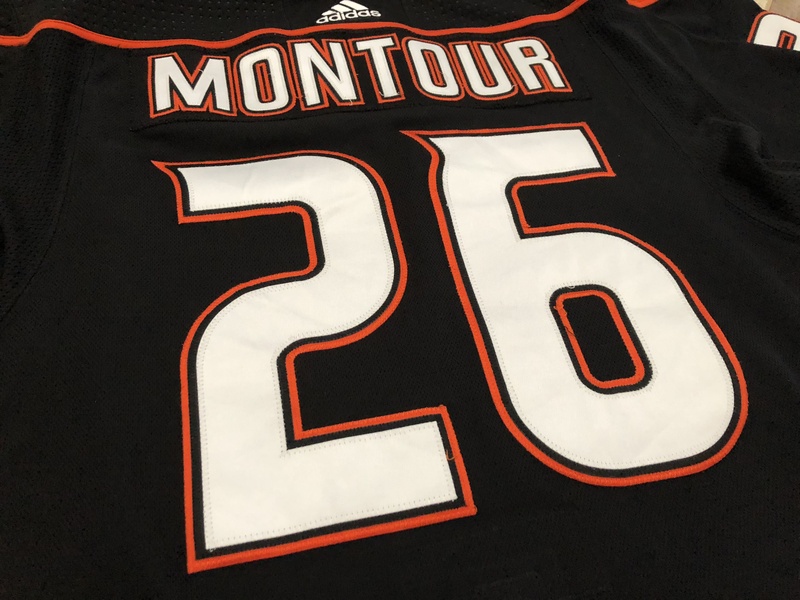 This is certainly one of the most hammered Ducks jerseys from the first Adidas season.